Compare television brands Sony, Samsung, Hisense, Panasonic, LG, Bauhn, Kogan, TCL, JVC and Soniq on picture quality, sound quality, ease of use, smart compatibility, value for money & overall customer satisfaction, with Canstar Blue’s 2018 review & ratings. * Overall satisfaction is an individual rating and not a combined total of all ratings.By default, brands with equal overall satisfaction ratings are sorted by the mean overall satisfaction score as rated by consumers. You can click the arrows at the top of any column in the table to sort by the results in that column. Canstar Blue research finalised in May 2018, published in June 2018. There are generally two options when buying a new TV – splash out the cash for one of the big brand, high-tech models promising to immerse you in the ultimate viewing experience, or just opt for a much cheaper model that will still do the basic job – but without all the bells and whistles. 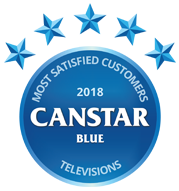 Whichever option takes your fancy, Canstar Blue’s annual TV review and ratings offers a helpful guide as to which brands are the highest-rated by the toughest TV critics around – Australians. Do the cheap and cheerful names like TCL and Kogan offer the best overall bang for your TV buck, or are you better off forking out a little extra for improved quality with the likes of Samsung, Sony or LG? That’s a question we seek to answer in this report. To find out which TV brands are rated highest in Australia, we’ve surveyed more than 1,000 adults who have purchased a new TV in the last two years. Respondents were asked to review their new TVs based on a range of important factors, including picture and sound quality, value for money, ease of use, smart compatibility and overall satisfaction. It’s worth saying that these ratings incorporate feedback received on all types of TV technology, including LED, LCD, OLED, QLED, 4K etc. Sony rated five stars across most categories, with the exception of value for money where it earned three stars. So this brings us back to our original question: Is it worth spending more on a top of line TV when cheaper models will do the basics just fine? Ultimately, only you can decide which TV is best for your needs and budget, but we hope our ratings provide some help along the way. Sony may have been rated highest overall, but there were also some standout reviews for other brands. Kicked back by Sony from last year’s ratings, Samsung was again praised for its picture quality and smart compatibility, rating five stars in both areas. Panasonic was another brand to receive a five-star review for picture quality. Aussie brand Kogan was the only one to achieve a five-star review in terms of value for money. Let’s now get an overview of the 10 brands in this year’s ratings and see what they currently have to offer those on the lookout for a new TV. Sony is a Japanese multinational consumer and electronics company, which is longstanding in the TV world. 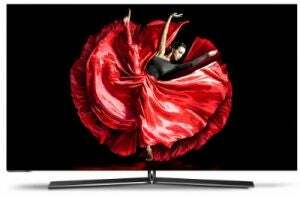 It mainly features OLED, 4K and HD TVs, and frequently boasts some of the most eye-catching new technologies. 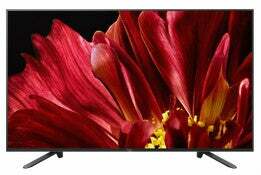 Compared to some other brands, Sony TVs are a little bit dearer. 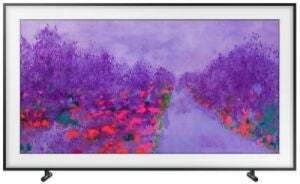 For sizes starting at 32 inches, you can expect to pay close to $700, while screen sizes above 65 inches can fetch premiums of over $5,000. The bonus is that smart functions come pretty much as standard across most Sony models. Known for its tech-forward approach, Sony earned five stars for overall satisfaction in our 2018 review. It also achieved five stars in important categories like picture quality and sound quality, as well as ease of use and smart compatibility. It achieved three stars in regards to value for money. South Korean brand Samsung is perhaps one of the most popular TV brands out there, and its range of innovative and quality TVs ensures it remains a fan favourite. Its flagship technology is its ‘quantum dot’ display, which aims to create richer and deeper colours. Furthermore, instead of having a black screen when your TV is on standby, Samsung added an Ambient Mode that’s stated to ‘blend into your space’ by giving you the ability to display photos, the time or weather onscreen. As for the Samsung range, many models are enormous in size, boasting curved screens for a wider viewing experience, with various types such as QLED and 4K available. Many Samsung televisions cost over $5,000, with some costing $12,000 – the same price as a small car! Samsung’s QLED technology is also nothing to sneeze at, and expect to pay a pretty penny for these tech-packed TVs. You’ll have to decide if they’re worth the investment. Samsung took out the second spot in our ratings with four stars for overall satisfaction, sound quality and ease of use. It received three stars in terms of value for money, but was rated five stars for smart compatibility. Hisense is a multinational whitegoods and electronics brand based in China. Apart from refrigerators and washing machines, televisions are one of its leading product lines, and as a result there is a large range to choose from. While Hisense doesn’t produce any particularly tech-forward televisions, what it does produce are solid TVs at a price more affordable for many. However, its latest range – Series 9 – is boasted for Prime Array Backlight, 1000+ Dimming Zones and Quantum Dot Technology with prices from $4,500 to $6,500. Apart from these models, you’ll get all the usual features you have come to expect in a modern TV, including smart capabilities, HD or ultra HD on an LED/LCD screen. Its largest screens come in at around 75 inches, and you can expect to pay between $3,000 and $5,000. Its smallest screens come in at around 24 inches, with prices as low as around $300. Hisense performed well in our 2018 ratings, earning a respectable four-star review for overall customer satisfaction, as well as all other research categories. Based in Japan, Panasonic has become one of the world’s foremost consumer electronics brands. It’s a pretty tech-forward company, boasting a wide range of TVs with 4K resolutions and various technologies designed to make the viewing experience better. Panasonic would be proud to announce that its TVs are THX certified, with many of its TVs having passed over 400 lab tests from the home theatre company, meaning Panasonic is a force in the home theatre world. 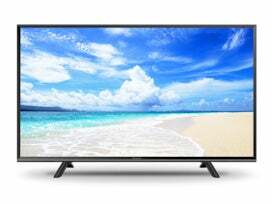 As for prices, a simple 32 inch Panasonic LED HD TV will cost you $499 RRP, while a more advanced 65 inch model costs $8,299 RPP. Panasonic earned four stars for overall satisfaction and in some other categories including sound quality and ease of use, but achieved three stars for smart compatibility and value for money. It did notably get five stars in arguably one of the most important areas – picture quality – which backs some of its claims. South Korean multinational electronics company, LG, boasts a large range of TVs, ranging from those regular old HD TVs to high-end 4K TVs, as well as its signature OLED series. In fact, LG’s 4K series claims to boast 20% more colours than regular LED TVs. LG is also known for producing some huge TVs, with models above 80 inches. An 86 inch model can cost you more than $9,000. However, for its Signature Wallpaper line boasted for a 6mm thin design, prices go up to $40,000! If you’re after a standard 32 inch TV without the bells and whistles, LG has these from $699 RRP. LG is another example of a brand not needing to necessarily offer ‘bang for buck’ to satisfy customers. It earned four stars for overall satisfaction, but achieved just three stars for value for money. It did record four stars in four other key categories, however. Bauhn offers a range of technology products and accessories, from smartphones to TVs. 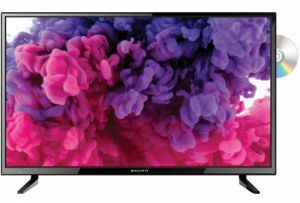 Its models are sold exclusively through ALDI stores on a promotional basis, so you will have to keep an eye out for the supermarket chain’s weekly special buys to get your hands on one of Bauhn’s TVs. At the time of writing, Bauhn has four different TVs in the line-up. From 40 to 75 inch, expect HD LED TVs with standard HDMI connectivity, USB playback and PVR functions to record your favourite TV programs. With an aim to offer value for money, Bauhn TV prices start from $299 and max out at $1,699. In our 2018 consumer ratings, Bauhn was rated a solid four stars for overall satisfaction, picture quality, value for money and ease of use. It was three stars for the two other research categories – sound quality and smart compatibility. Online super retailer Kogan is probably best known for its range of cheap, grey-market electronics, as well as prepaid phone plans. But it also has its own brand of televisions. Kogan has a modest range of TVs, from regular HD to 4K quality. Many feature smart capability as standard, with built-in Netflix apps. Many also run on the Android operating system, so you’re afforded familiarity and thousands of apps on Google Play. 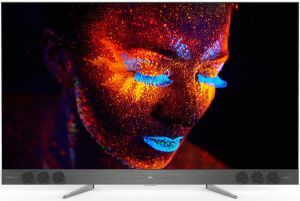 You can get quite a lot of ‘bang for your buck’ with Kogan, with a 19 inch LED TV & DVD combo starting out at $129, while the 32 inch models are around $200. If you’re looking for larger screens, many of the 65 inch TVs cost around $1,000, while its 75 inch models go for a maximum price of $2,500. Kogan is known for being cheap, and this is reflected in its five-star rating for value for money – the only brand to do so. It achieved a mixed bag of results, but earned four stars for overall satisfaction. TCL is a Chinese multinational electronics brand, offering solely TVs in the Australian market. 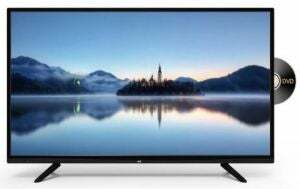 A generally cheaper brand, TCL may represent a great option for those on a budget, or those looking for a second TV for the kids’ room, for example. As for the range, most TVs come in HD or ‘ultra’ HD guise, and some bargains can definitely be found. There are also QLED and QUHD models with sizes starting out with 32 inch models and maxing out at 85 inch. Its latest models are also boasted for Quantum Dot technology. As for prices, a 32 inch TV costs less than $300. 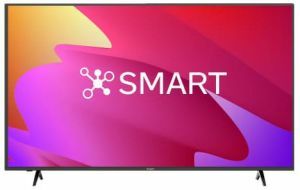 If you’re after something a bit bigger, a 55 inch smart TV costs around $2,000, which is evidently a lot less than some of the bigger players in the TV market. There is one outlier in the range, however – an 85 inch Premium QLED Private Theatre – valued at $19,999 RRP. TCL achieved three stars for overall customer satisfaction in our 2018 review and four stars in every other category. JVC TVs generally sit in the budget-friendly zone, available through stores such as The Good Guys and Big W. Expect HD, Full HD and UHD on LED screens, with one 4K model available at the time of writing. While JVC doesn’t offer any specific tech-forward features, it does produce solid TVs, with most being priced at around the $400 mark. You can expect USB and HDMI ports, as well as PVR recording to USB functionality. JVC received three stars for overall satisfaction as well as in three other categories, including value for money, sound quality and smart compatibility. However, it was a respectable four stars in two of the most important areas for many – picture quality and ease of use. Rounding out the table, Soniq is yet another budget-oriented brand. Soniq is no slouch, however, as it offers over 40 TVs in Australia, with many being extremely cheap. Soniq separates each category by 3D, Chromecast, Ultra HD, Smart and LED LCD TV ranges. 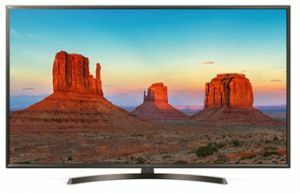 Some can cost less than $250, while some over 60 inches with smart features and 4K quality can often be had for less than $1,500. Soniq is a brand best found at JB Hi-Fi locations around Australia, and JB Hi-Fi’s penchant for providing hot sales and other discounts means a Soniq TV could potentially be snagged for pretty cheap, making it a great budget TV if that’s what you’re looking for. However, price alone is evidently not enough to win over consumers, as Soniq rated three stars on value for money and all other categories including overall satisfaction. What Are The Best 65 Inch TVs? So what should you look for in a new TV? There are many different terms flying around these days, so it can be hard to keep up. We list a few specific factors to consider when buying a new TV, including price, size and type. Overall, we found Aussies spend an average of $1,519 on new TVs. That may seem like a lot, but when you consider that the likes of LG have TVs costing $40,000, it suggests there are still plenty of people buying cheaper models for just a few hundred bucks. Indeed, there are plenty of bargains to be found – you can pick up a 55 inch Kogan 4K Smart TV for under $600, for example, so it’s always worth shopping around. If you’re serious about home theatre, then you can buy the biggest TV you can afford! However, if your TV viewing habits are a bit more ‘normal’ then there are other factors to consider when deciding which size is best, including how far you’ll be sitting from the TV, which is somewhat dependent on the size of your room. It’s recommended that you sit 1.5-2.5 times the diagonal width of the TV away with HD TVs, and 1-1.5 times the diagonal width of the screen away from your 4K TV. This is likely a lot closer than you think, but it pays to test out screen sizes in-store, keeping in mind your room size and how far away your couch will be. Beyond that, almost two in five (39%) respondents to our survey said their TV size is between 50 and 60 inches, so it might pay to go with the masses on this one. There’s never been a better time to buy a new TV. Manufacturers are constantly trying to outdo each other by including and developing their advanced technologies to make consumers’ viewing experience second to none. As a consequence, those wishing to be at the forefront of technology may have to be prepared to pay a premium, with TVs often costing $5,000 or more. In this case, it can be worth looking at brands with reputable warranty periods and servicing to ensure your prized possession is well taken care of should anything go awry. In any case, you can essentially expect to get what you pay for, and the bigger brands have a good reputation for a good reason. Canstar Blue surveyed 3,000 Australian adults across a range of categories to measure and track customer satisfaction, via ISO 26362 accredited research panels managed by Qualtrics. The outcomes reported are the results from customers within the survey group who have purchased a new TV in the last 2 years – in this case, 1,197 people.